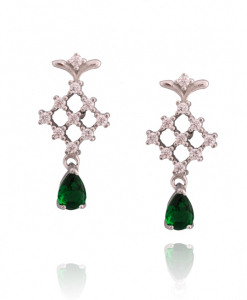 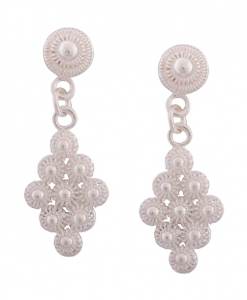 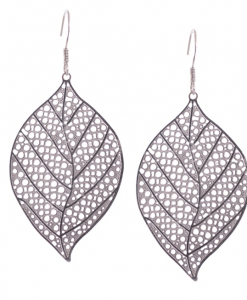 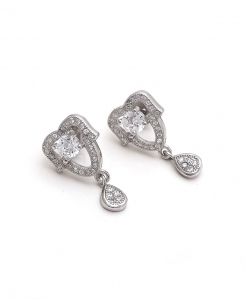 An amazing collection of fine silver CZ Earrings | Cubic Zirconia Earrings and Hoops which includes CZ Studs, Hanging CZ Earrings, Droplet Earrings, Hoops and even Jhumkis. 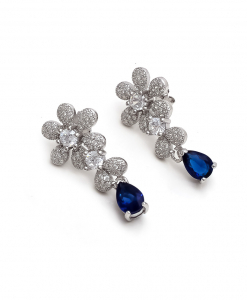 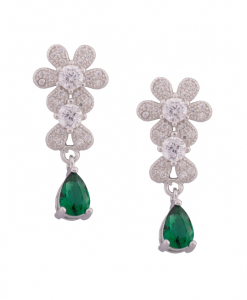 Only high quality AAAAA CZ Stones are used which are handset and rhodium plated nickel free polish is used. 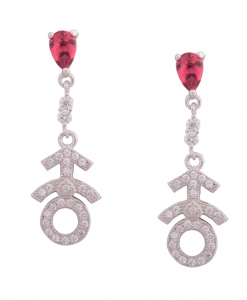 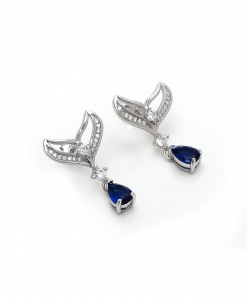 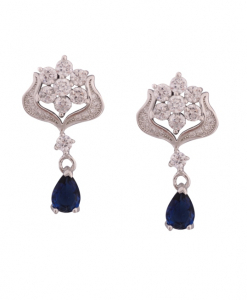 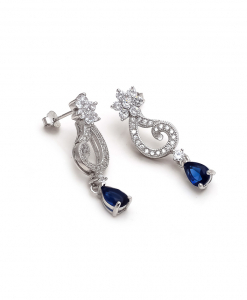 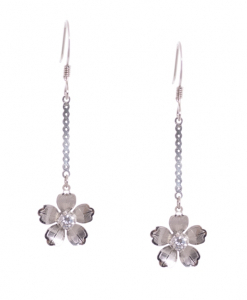 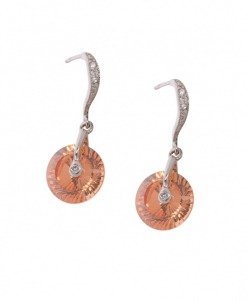 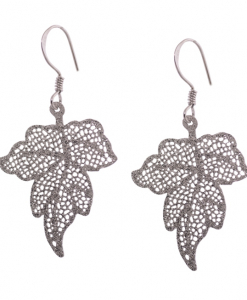 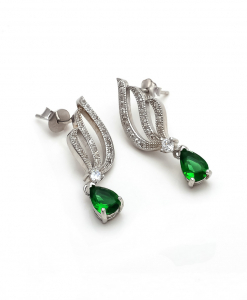 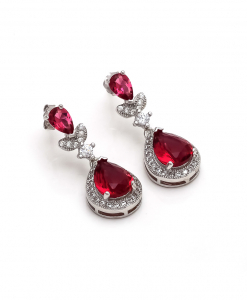 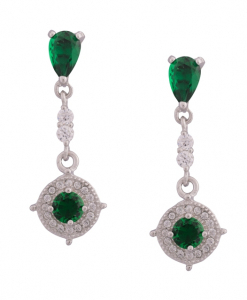 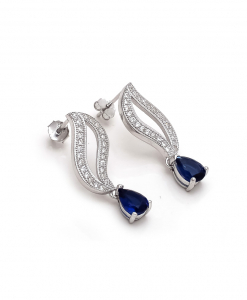 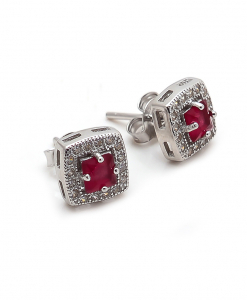 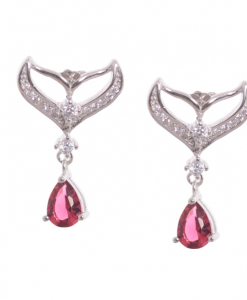 Cubic Zirconia Earrings and hoops shine like diamond earrings but the added benefit is that they can be customized accordingly due to availability of various colored gemstones.